Coats and bags can be checked into the cloakroom free of charge. Where possible, please leave buggies and prams in the cloakroom, as space within the Studio Tour is limited. Please note that items are left at the visitor's risk. On arrival at the Studio Tour, you and your bags will be checked before entry. We ask for your support in assisting our staff with this process. We have a cash point in our lobby which offers free of charge withdrawals. Toilet facilities are situated within our lobby. Baby changing facilities are available in each toilet block. There is also an accessible toilet with space for a disabled person and up to two carers. If you arrive earlier than your allocated time slot, feel free to visit our Studio Café or Starbucks in our lobby, where refreshments are available. For parents with young children, hot water for heating up bottles can be provided within the Studio Café. Our lunch & afternoon menu is served until 8pm during holidays and weekends and until 5pm at all other times. Menu options include freshly prepared hot and cold meals such as soups, jacket potatoes, salads and sandwiches/baguettes as well as cakes, dessert pots and children's Themed lunch boxes. You can browse the products available in our Studio Shop at your leisure, either before your time slot or at the end of your visit. 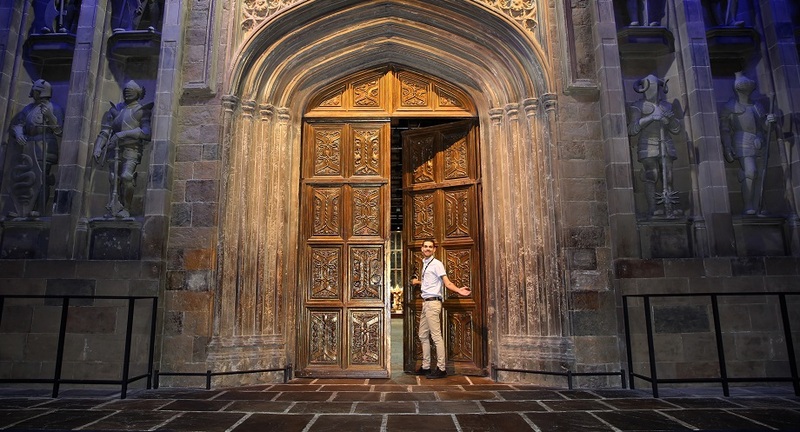 Access to the Studio Tour shop is only available to ticket holders. However, many of the items are sold on our Online Shop. All toilets are easily accessible and disabled restrooms are located at regular points throughout the Studio Tour. Baby changing facilities are available in each toilet block. A private area for parents to feed complete with nursing chair and changing tables is located next to the Backlot Café. Hot water for heating up bottles can be provided within the Backlot Café. Enjoy a hot meal, sandwich or snack in the Backlot Café, which is located half way through the Studio Tour. Indoor and outdoor seating is available for your comfort whatever the weather. 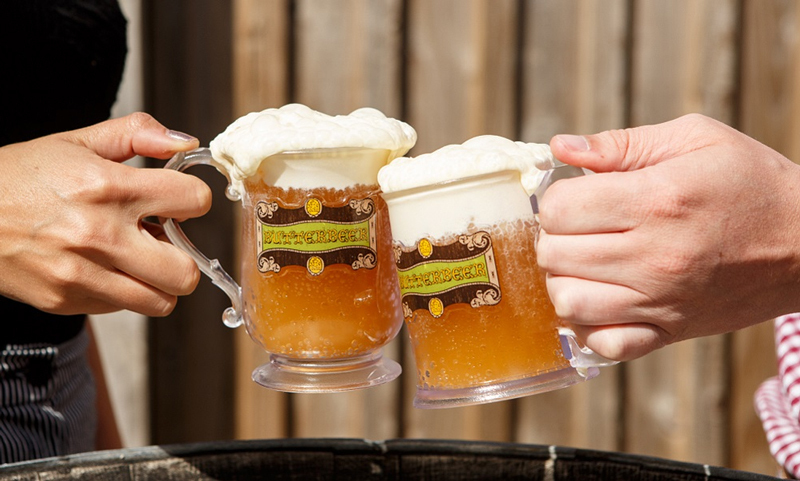 The Backlot is where you will also have the opportunity to enjoy a frothy Butterbeer; a non-alcoholic beverage reminiscent of shortbread and butterscotch. The Gringotts Wizarding Bank, The Forbidden Forest Shop and The Railway Shop can be found within the Studio Tour. For more information please visit our Studio Shops page.